My husband and I are from out west. He grew up in Utah and when we got married, we spent part of our honeymoon in the beautiful town of Park City. 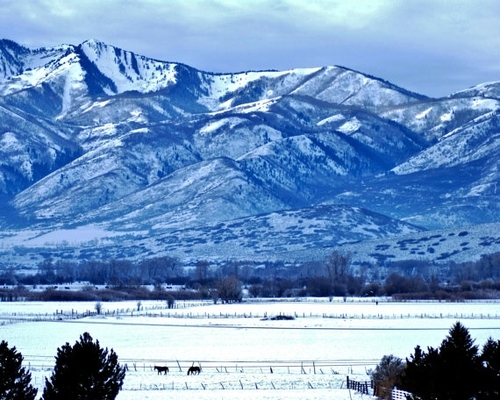 This town is well known for skiing, celebrities, film festivals, and gorgeous mountains. We have very fond memories of the town and we loved to visit whenever we could. 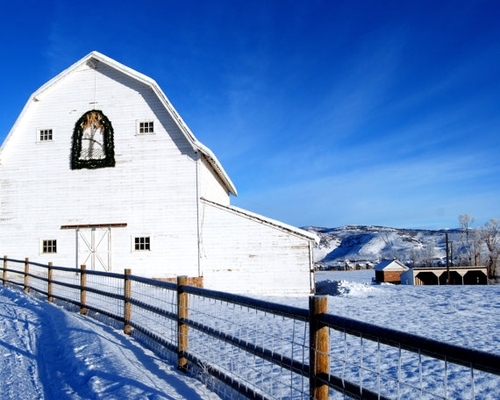 On the way into the town sits a picturesque white barn set in front of the mountain landscape. It is a very familiar sight to me and one that makes me very happy. It’s been quite some time now since I have been back, so when I found the photographs of PetitePastiche on Etsy, I was so excited to see my favorite mountain town captured through the eye of her camera lens! I was thrilled to receive some of Debbie’s photographs to check out up close and personal. I have to tell you each one was better than the last. She is an extremely talented photographer, and if I could, I think I would have her create photo arrangements for my entire home! I am so impressed with her skill and can see she will go far with her talents. Just look at this beautiful mountain landscape! I highly recommend purchasing her fine art photography for gifts for those on your list this year, she is the nicest woman and takes much pride in her work. Everything I received from her was packaged so carefully and received very quickly. Reblogged this on THE MOMMY AVENGER.